When it comes to the Super Bowl, I'm only in it for the food, commercials and company of friends. If it weren't for that, I would be watching Downton Abbey and Sherlock. 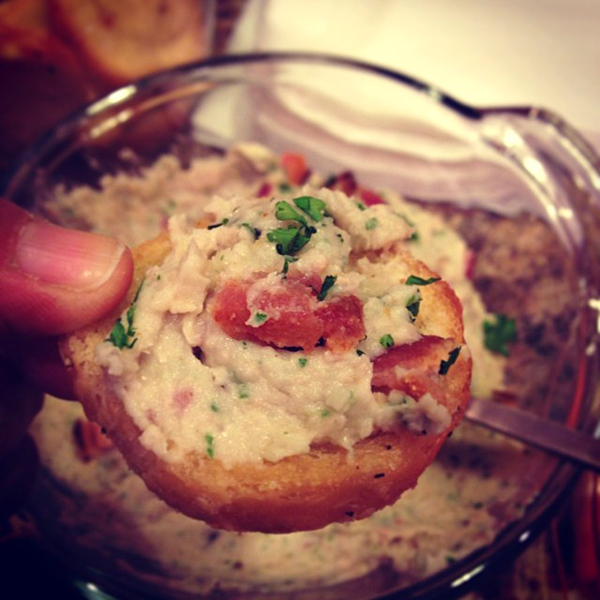 This year for our friends' annual Super Bowl party, we made white bean and bacon dip. I think if I make it again, I will roast the garlic. It seemed overly garlicky to me, although it was all eaten up. 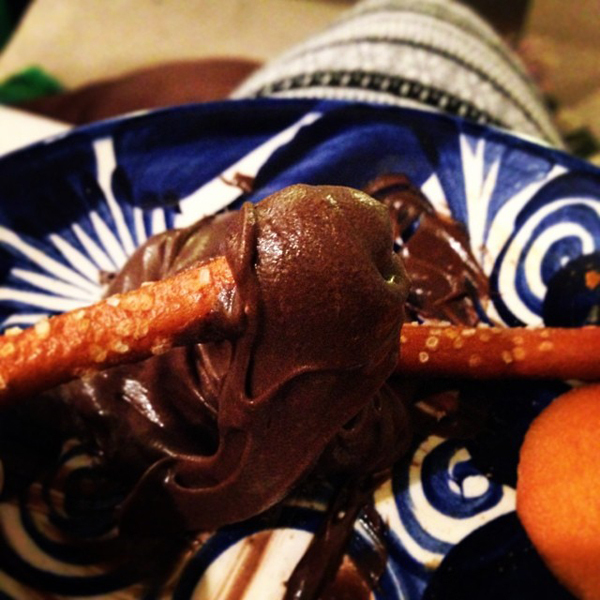 I thought the winner of the night was the brownie batter dip my friend Sarah made. I didn't think I would be that crazy about it because I don't eat raw batter... but it was gooooood.